Camoplast is the world’s leading maker of snowmobile, farm vehicle and construction vehicle tracks. And as a Canadian company, we know first-hand the kind of conditions you can find yourself facing through the seasons. We’ve channeled all our 15 years of experience and expertise into engineering the best track money can buy. Why should you switch from wheels to tracks? You rely on your all-terrain vehicle (ATV) or side-by-side (SxS) to go where you want and get the job done. 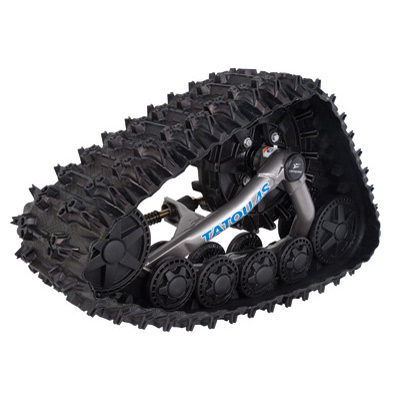 But no matter how rugged your machine is, deep snow, serious mud, and swampy terrain may be too much for your wheels to handle. Now you can take your vehicle’s performance to the next level with a four-season track system that will never let you down.